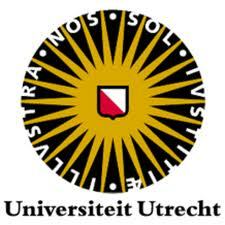 I am professor of mathematics, holding the chair in Geometry and Number Theory at Utrecht University in The Netherlands. For my contact details, please scroll to the bottom of this page. I specialise in number theory, arithmetic algebraic geometry and noncommutative geometry, with occasional digressions into logic and mathematical physics. For me, pure mathematics is one big web of interconnected topics, and I derive great pleasure from finding connections between apparently different domains. For example, using algebraic geometry to study modular forms, using graph theory to solve diophantine equations, using elliptic curves to study problems in logic or physics, or using noncommutative geometry to discover new number theory. Such connections have come up in my work! Below is a more technical listing of my results. (Function field) arithmetic and automorphic forms I studied the distribution of zeros of Eisenstein series for function fields, with applications to supersingularity of Drinfeld modules. I gave criteria for the existence of rational 2-power torsion points on Jacobians of hyperelliptic curves over finite fields. I studied the ring structure of rings of Drinfeld modular forms. With Oliver Lorscheid, I studied the theory of toroidal automorphic forms. This is part of a previously dormant approach to the Riemann Hypothesis initiated by Don Zagier in the 1970's. Results include a study of such automorphic forms for function fields of class number one, and some structural results for the space of such forms over number fields, using multiple Dirichlet series. With Valentijn Karemaker, I studied the "automorphic version of the anabelian theorems", namely, in how far Hecke algebras for general number fields determine the number fields. With Kato and Janne Kool, I have studied questions of gonality from the point of view of graph theory (with applications to diophantine problems, such as a lower bound on the gonality of Drinfeld modular curves that is linear in the genus, and to a bound on the degree of modular parametrisations of elliptic curves over function fields). In this connection, I started to study the gonality in certain random graph models. Nonarchimedan uniformization With Fumiharu Kato and Aristides Kontogeorgis, I studied orbifold curve uniformization over fields of positive characteristic. This includes a sharp upper bound on the number of automorphisms of a Mumford curve in any characteristic, the solution of the "Hurwitz Group" problem in this situation, a study of the analytic equivariant deformation theory for Mumford curves, and a comparison of this to the algebraic theory. Equivariant deformation theory With Fumiharu Kato, Ariane Mézard and Jakub Byszewski, I computed the deformation theory of weakly ramified group actions on curves, and its local counterpart. Noteworthy results are the computation of the (local) versal equicharacteristic deformation functor with Kato, the mixed-characteristic functor with Mézard, and the proof of universality for most of those with Byszewski. Algebraic dynamics in positive characteristic With Jakub Byszewki and Marc Houben, I have embarked on a project to understand the dynamics of endomorphisms of algebraic groups in positive characteristic p. We study the rationality/transcendence of the dynamical zeta function and prime orbit distribution in relation to properties of the endomorphism (e.g., its action on the p-torsion group scheme). Undecidability in number theory With Karim Zahidi, Thanases Pheidas and Shasha Shlapentokh, I worked on undecidable diophantine problems over the rational numbers. With Zahidi, I proved that the existence of a diophantine model of the integers in the rational numbers defies a conjecture of Mazur, and found a one-universal-quantifier definition of the integers in the rationals, based on a conjecture about elliptic divisibility sequences. I also studied diophantine storing and other relations between undecidability and elliptic curves. With Jonathan Reynolds, I generalized divisiblity sequences to matrices. Noncommmutative geometry With Matilde Marcolli, Kamran Reihani and Alina Vdovina, I have worked on the relation between spectral triples (a.k.a. noncommutative Riemannian geometries) and rigidity phenomena for classical spaces such a Riemann surfaces and graphs or buildings; including K-theoretic aspects. With Jan Willem de Jong, I studied the isospectrality problem from the (noncommutative) point of view of families of (generalized) zeta functions. With Matilde Marcolli, I studied relations between arithmetic geometry, anabelian geometry, class field theory and quantum statistical mechanical systems. I have also considered this problem for function fields. I am also studying metric geometry of spaces of noncommutative manifolds (i.e., metrics in the space of spectral triples up to Morita equivalence), and relations between operator K-theory and automorphic forms (with Bram Mesland). Mathematical physics With Nikolas Akerblom, Gerben Stavenga and Jan-Willem van Holten, I studied the construction of explicit solutions to the Jackiw-Pi model on a torus. With Akerblom, I investigated braneworlds with torus structure, and an application of relative entropy in classical gravitational models. I have often taught Group Theory, Rings, Galois Theory and Elliptic Curves. At master level, I regularly organize seminars, in the past years on Fuchsian Groups, Arithmetic Fundamental Groups, Tate's Thesis, Curves, Local-Global principles, Quadratic Forms and Modular Forms. If you are interested in writing a research thesis related to number theory, feel free to contact me. In the pdf file of my cv you can find a list of supervised students and projects. I have worked at or had visiting positions at the universities of Gent (where I received my PhD in 1997), Leuven, Saarbrucken and Warwick, at the Max-Planck-Institut for Mathematics in Bonn and at Caltech. 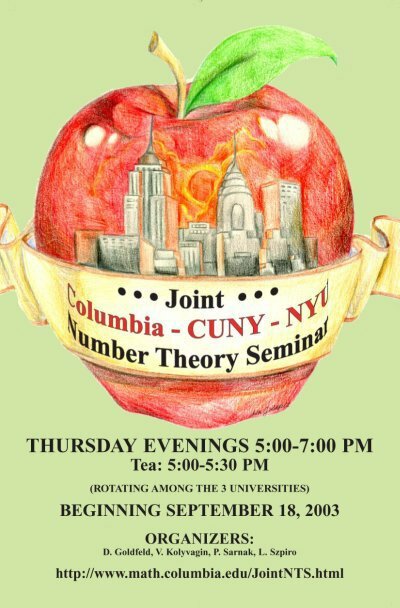 I was elected a member of the Royal Holland Society of Sciences and Humanities (KHMW), Arbeitstagung speaker, NY Joint Number Theory Seminar speaker, speaker at the Clay Institute and 21st annual Charles R. DePrima lecturer at Caltech. I have received pre- and postdoctoral grants from FWO, the Flemish Science Foundation, a VIDI and a VICI grant from NWO (the Netherlands Science Organisation), and I am a member of the DIAMANT and GQT national research clusters. 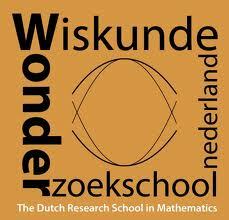 I founded WONDER, the national graduate school for mathematics, and the local graduate school Utrecht Geometry Centre. I have written about 45 research papers (totaling about 700 pages) and around 20 popularising papers. In 2015-2017, I acted as department head.